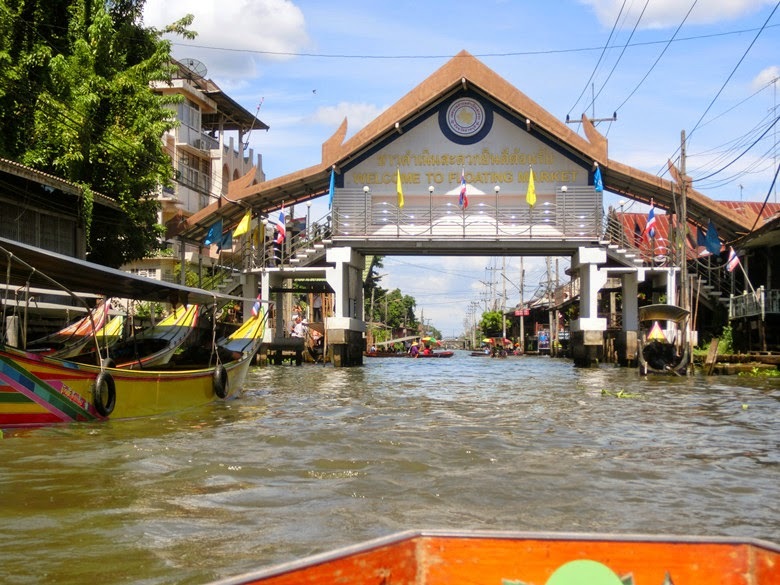 A very good morning to Bangkok again, today will move from Bangkok City to Hua Hin a lovely place out of Bangkok City. 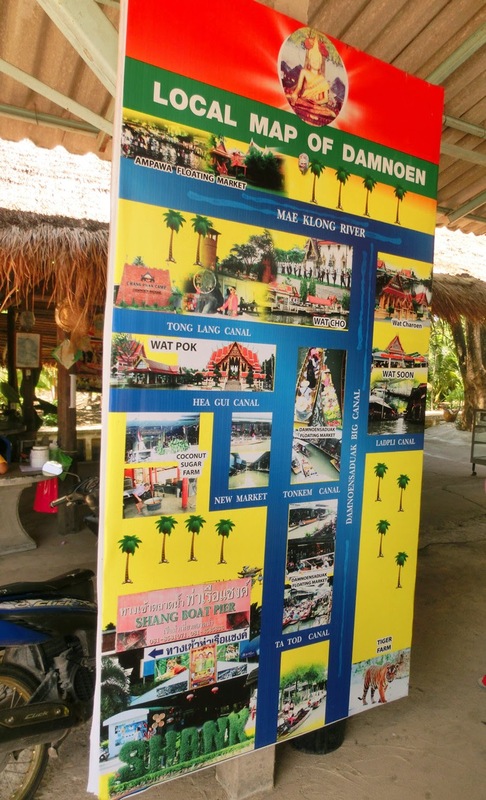 Basically from Bangkok City to Hua Hin need around 3 hours road trips but along the road trip there are some interesting place to drop by such as the Maeklong Railway Station and Damnoen Saduak Floating Market. 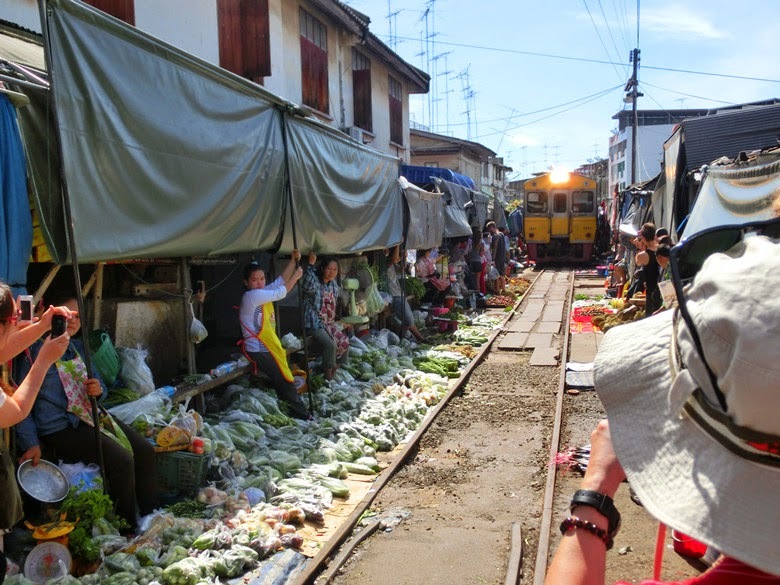 Maeklong Railway Station, the one of the only interesting things in Maeklong Railway is to watch how the train going through a tightly packed market which just barely fit with and how speedy the market stalls seller occupy the railway line immediate after the train pass through. Everyone are so eager for the train come in and ready all the phones and camera to record down this risky yet excited moments. 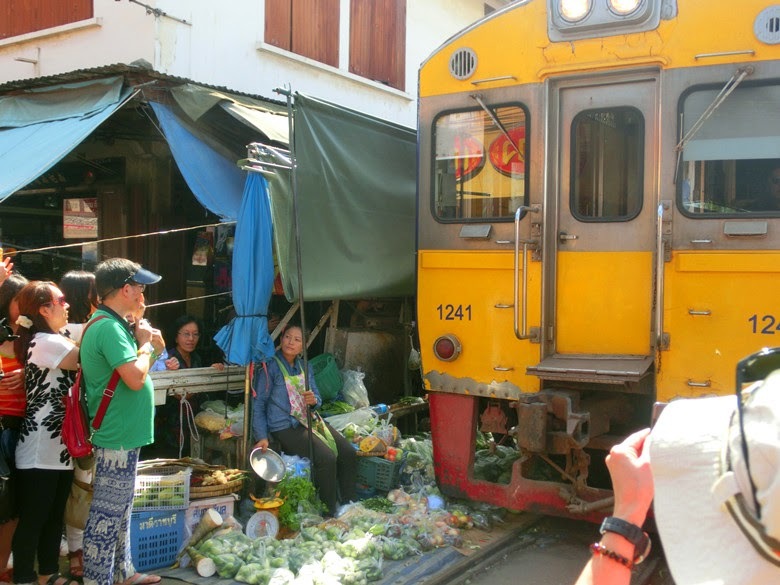 As you can see in the photo, the stalls owner have pack away their things and pull away the stall umbrella ready for the train to pass through. Choo Choo Train is coming in! 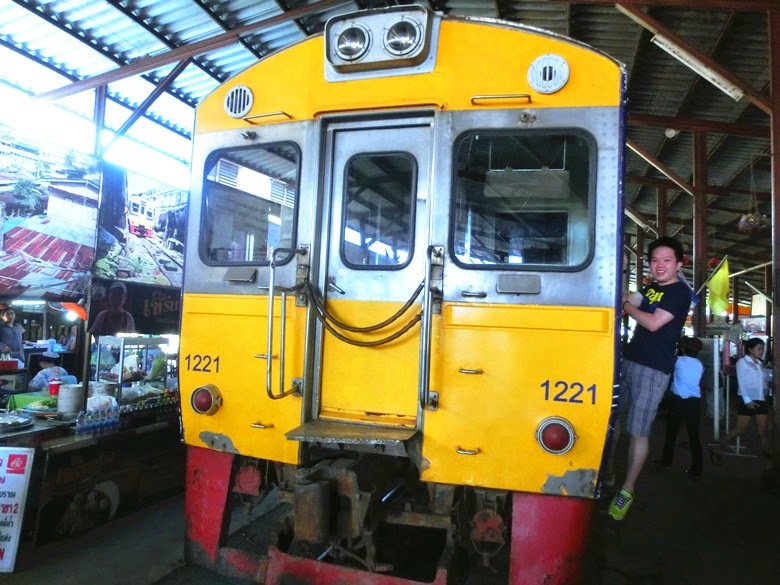 Although, the speed of the train is slow than usual but please be careful take caution because it is really extreme close with you. Woohoo! I never imagine how close it is when it pass through in front of me, I can barely feel my face are really very close to the train! Huh..~ Risky and yet exciting! Hahaha.. 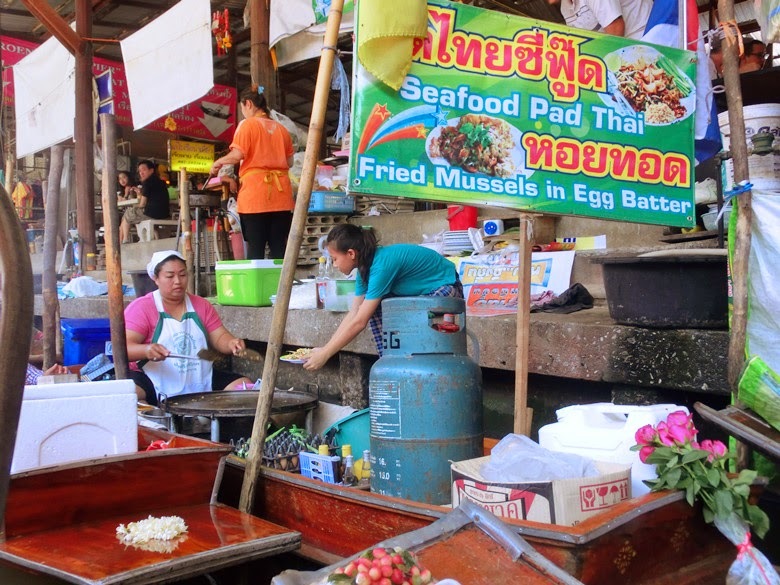 I walk along the market for awhile, nothing much special to me because it more towards a wet market which mainly selling all the sea creatures, vegetables, pickled food and so on. Thus, I just have a quick walk then say bye bye to it! 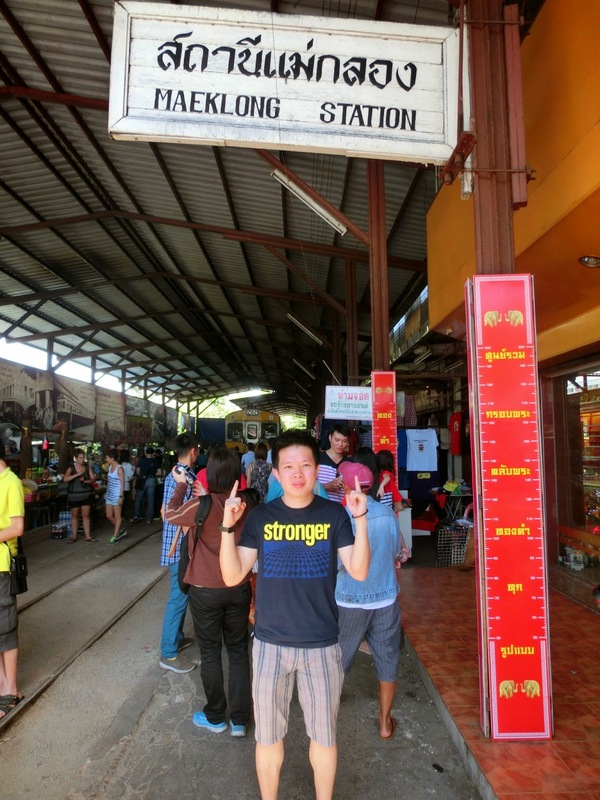 Don't feel disappointed if you miss out the train which come into the Meaklong Station. 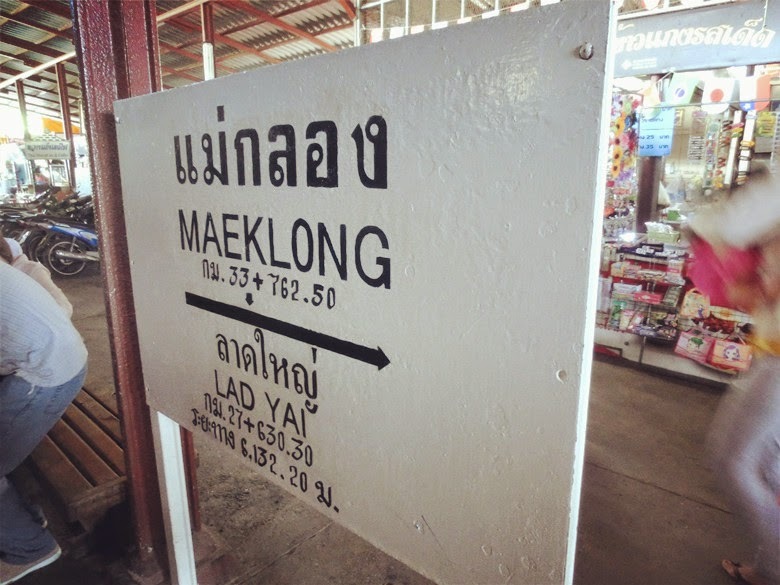 Just need to wait another 30 minutes times, the train will turning back from Maeklong station to Lad Yai again. 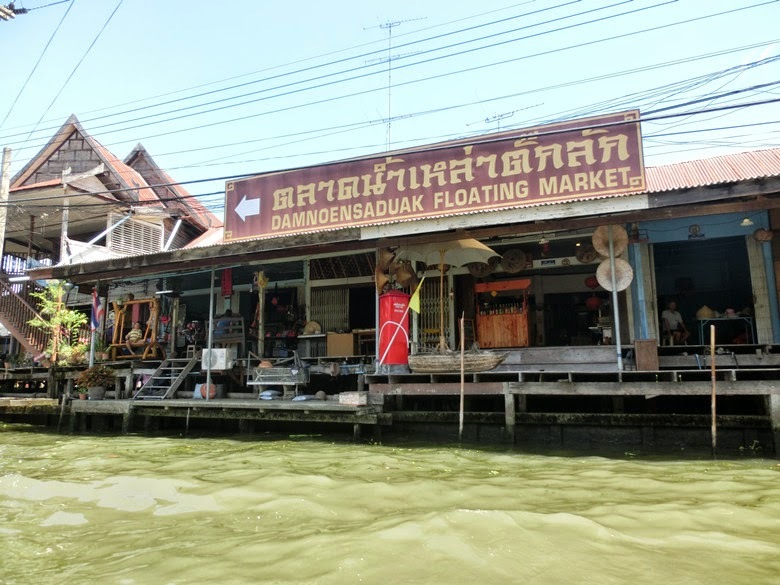 Let's move on, the next destination is Bangkok City signature floating market >> Damnoen Saduak Floating Market which located near with Maeklong Railway Station which took us around 15 minutes to arrive there. 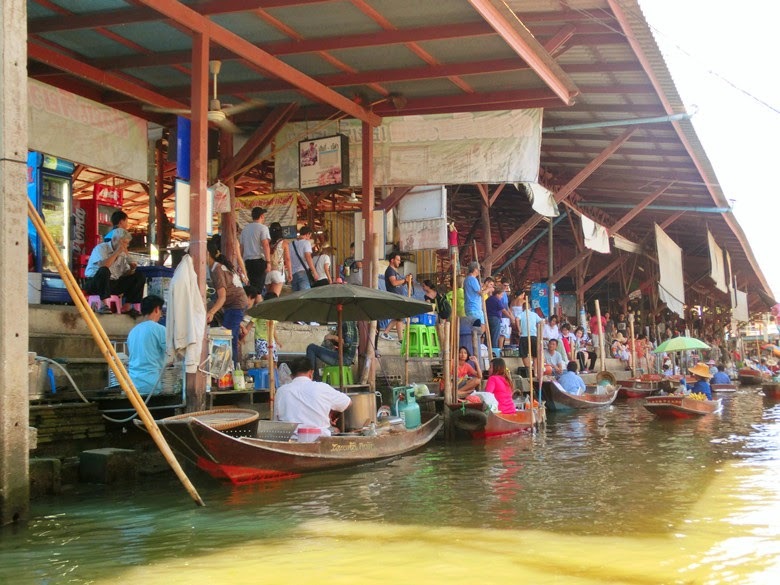 You need to negotiate price with the boat driver there rather than just follow the price they offer because they might offer you a relative high price. They counting the charges depend on the times which you wish to spend like 1 hour ride, 1 and half hours or even 2 hours. 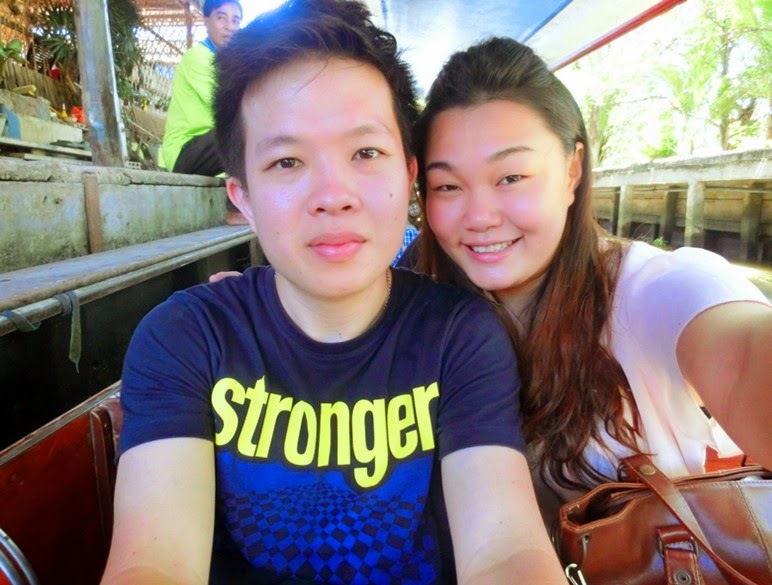 We just pay 100 Baht per person for a ride of 1 hours. 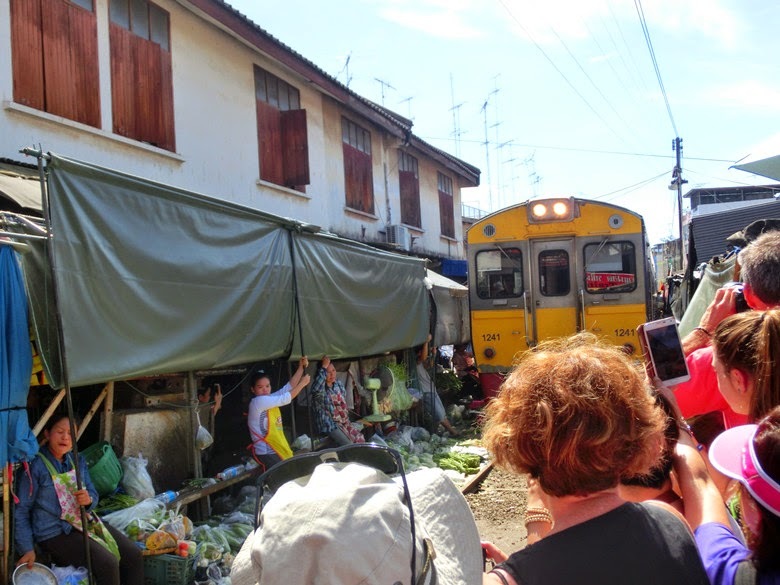 Besides, to take note that the Damneon Saduak Market are operating from 7.30am to 12.30pm only. 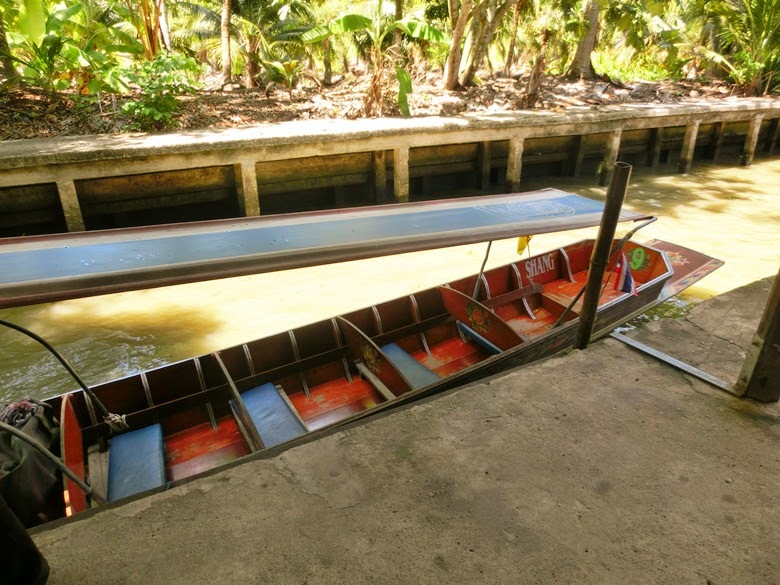 This is how our paddle boat look like! 7 adults and 1 kids in a paddle boat including the driver too. We reach there around 11 and the weather start to turn hot. He like to sit at the front and keep explaining this and that acting like a professional tour guide. 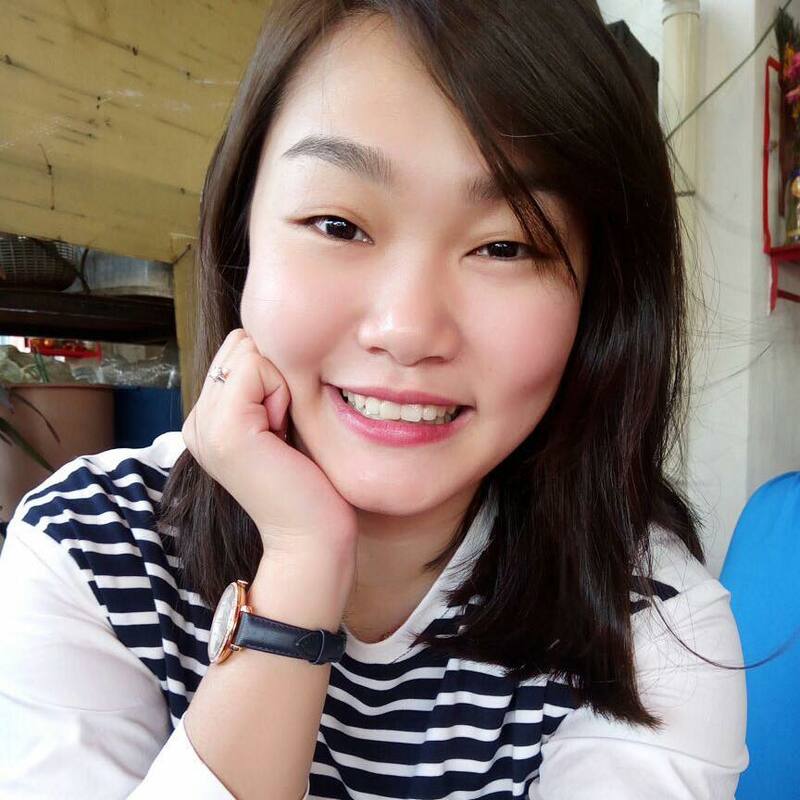 Swt! 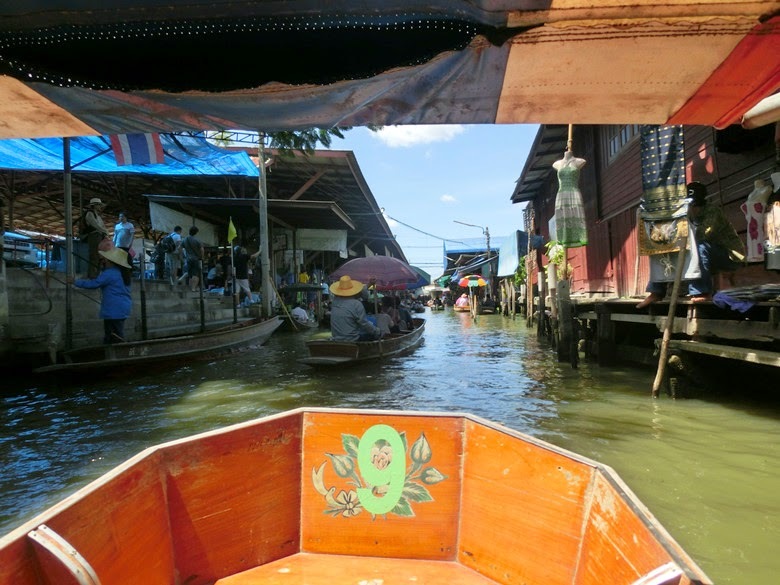 There are many small boat there which selling different things such as snack, fruits, souvenir, noodles and so on. 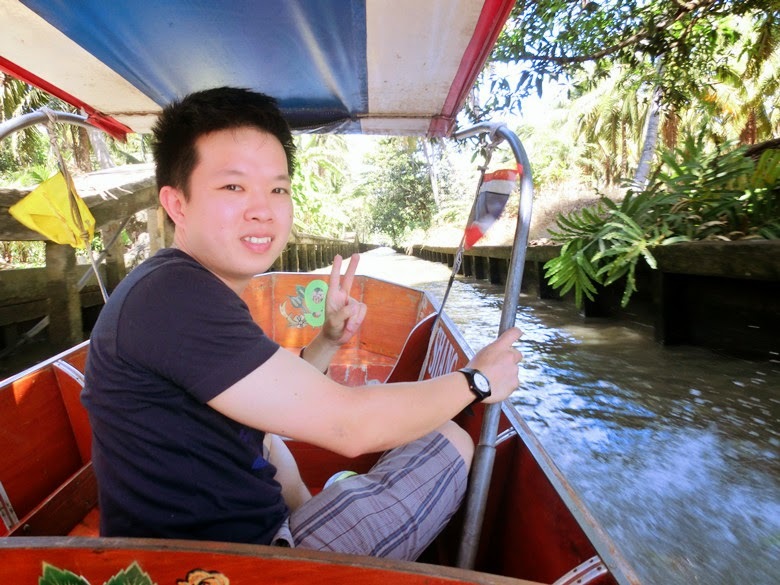 You just need to wave your hand, the seller will approach near your boat. 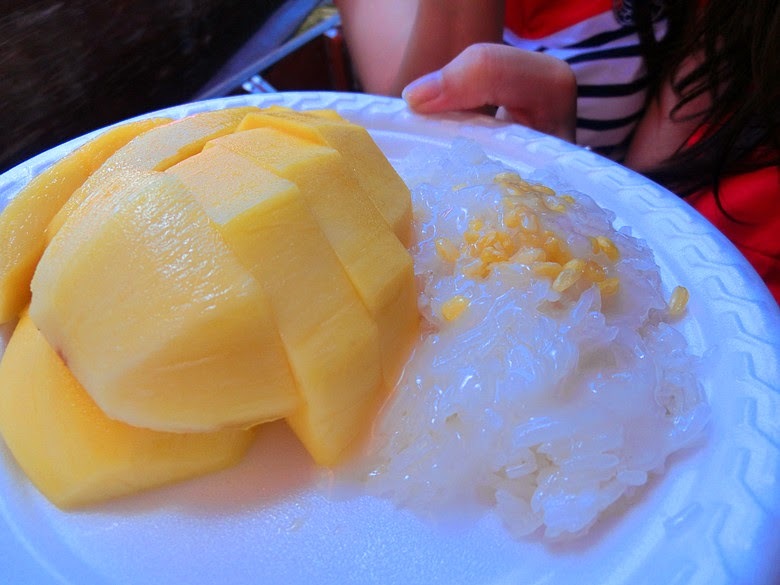 We brought mango sticky rice from this ladies and she help to delivery our order coconut ice cream too! You are advice to ask for how much first before you decide to purchase or else will kena chop head. 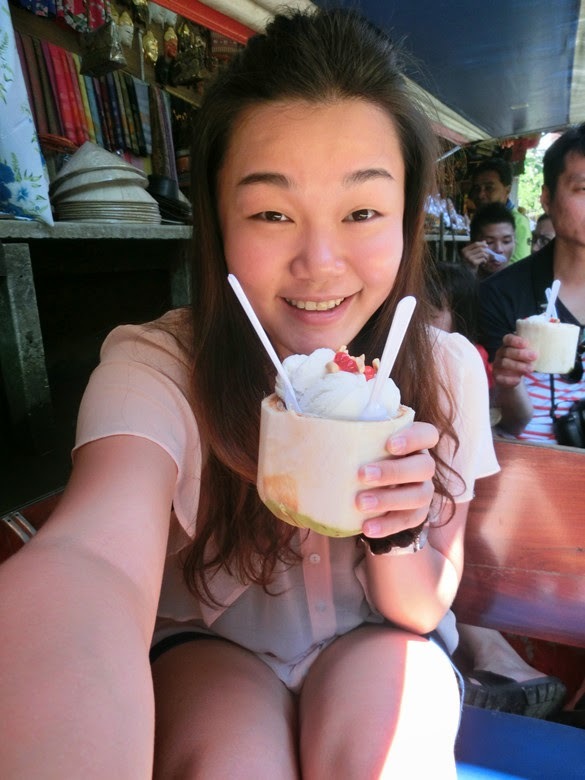 Selfie with the Coconut Ice cream ! Yummy ice cream ever in Bangkok! Why I cant find it in Penang? 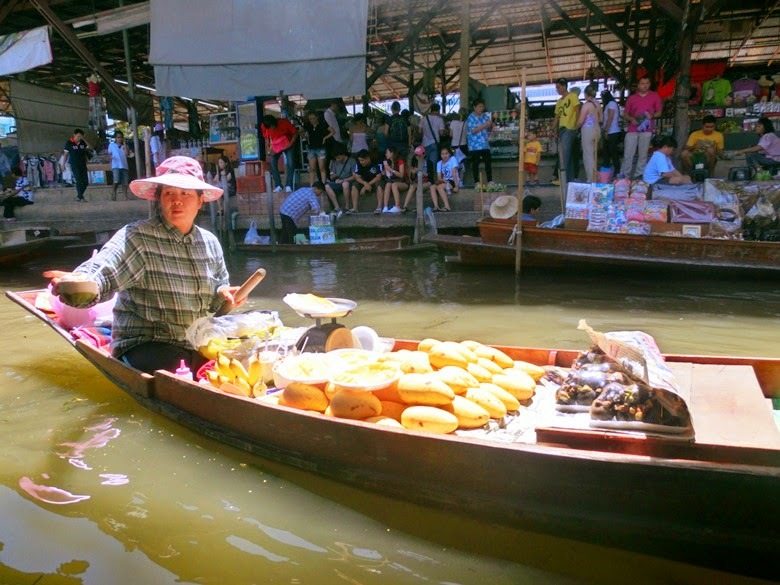 You can order food over there and enjoy it inside your boat, the driver will helps on sending back the bowl to the seller after. 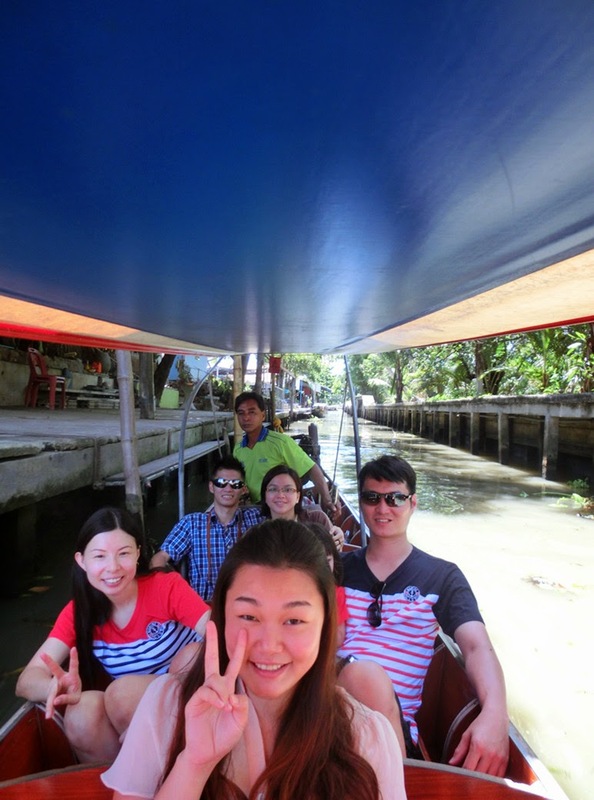 Overall, there are fun to have a paddle boat ride experience over there. We didn manage to buy souvenir over there because the price are relatively high compare what we can get in the Bangkok City. 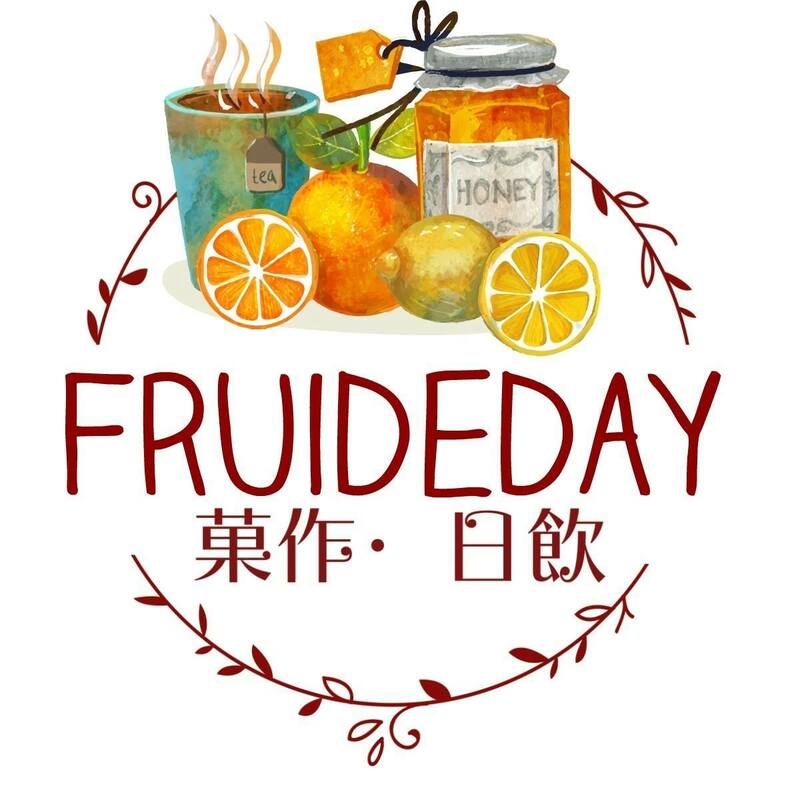 Thus we just focus in enjoying delicious food. 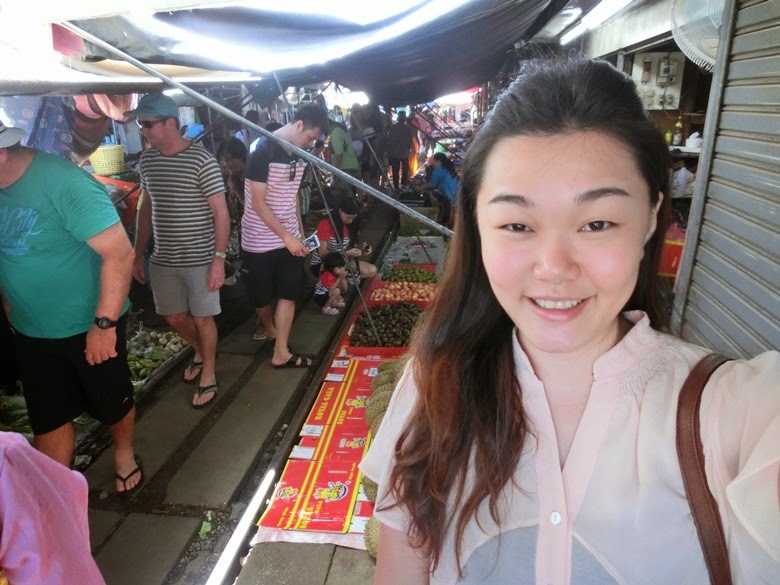 Lastly, stay tune for my next post will be all about HuaHin ! 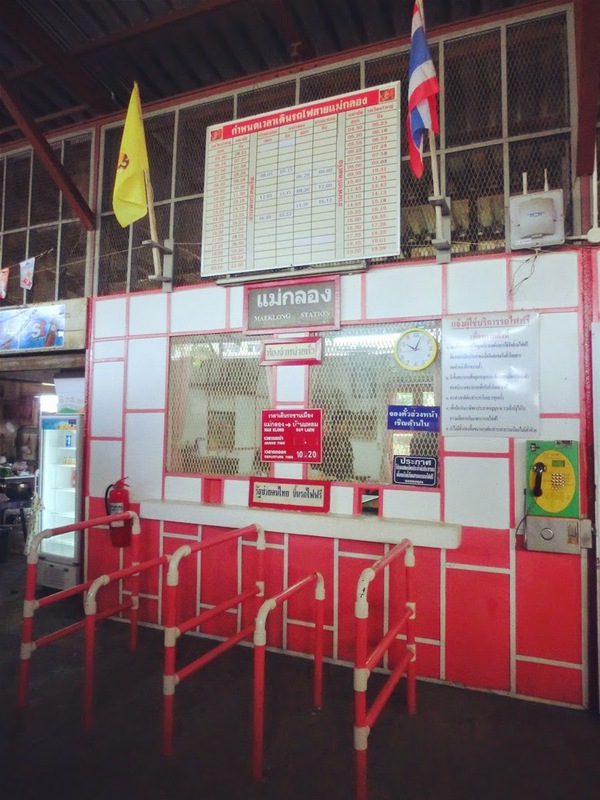 Take a sky train to Victory Monument Station and follow the No.2 exit walk to Century the Movie Plaza, you will see a 7-11 then turn right hand side, you will see a lots of stalls over there. Just need to tell them your destination will do. 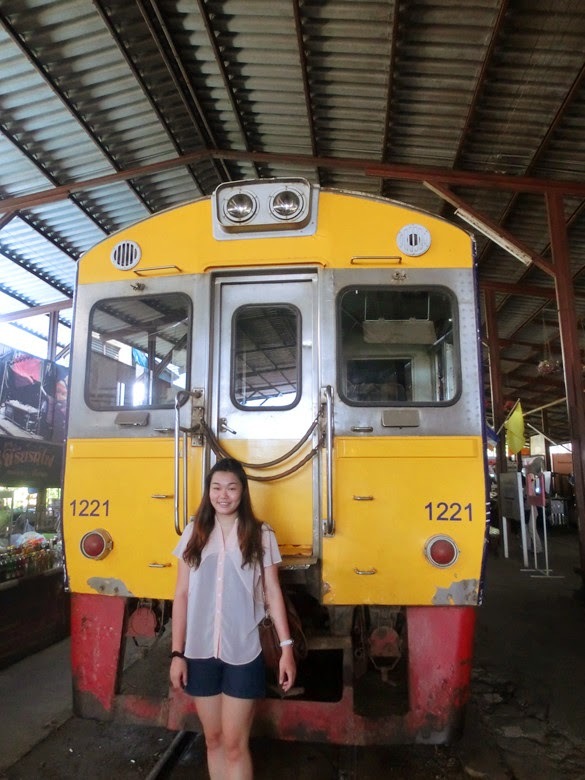 For your reference, 70 Baht for Meaklong Railway and 90 Baht for Damneon Saduak.